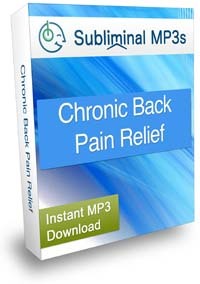 Program your subconscious mind to relieve and even completely eliminate back pain using this powerful subliminal album. Do you experience frequent back pains? Are there times when you're unable to do anything because of how strong the pain is? Do you panic when you forget to take your painkillers with you? Would you like to become less sensitive to back pain - or even to completely eliminate it? Pain of any kind is certainly something that we rather wouldn't experience; however people often overlook the mind-body connection and the fact that they could use their mind to heal any pain, including the one in their back. It's understandable - when you're in pain you're so focused on it that you just can't think about anything else. This physical sensation then leads to mental stress and tension - creating more stress and tension in the body, and the circle never ends. You can break this circle by gaining control of your thoughts, both conscious and unconscious! That's what this subliminal album is designed to do. It's not a miracle cure, but it will provide you support in your efforts to take control of the pain cycle by taking control of your thoughts. Our subliminal messages will penetrate your mind, re-wiring the way it works so that it starts acting as a natural painkiller. Your mind will direct your body's resources to your back to aid recovery and reduce the pain. It will reduce stress and tension in your back. The suggestions on this album are designed to help in relaxing your mind and your body; as they penetrate your mind, they will gradually create a path in it that will "teach" it how not to accumulate stress and tension but to release them. This will reduce and even completely remove accumulated tension so that the muscles in your back become relaxed. You will notice that you're feeling less pain in your back. As these suggestion solidify the new connections in your mind, you will become less sensitive to pain, it's even possible that it will completely disappear. Your mind will "learn" to simply stop paying attention to it, enabling you to feel almost or completely pain-free. If played on an ongoing basis this album will help you to strengthen your mind-body connection. This will reduce the pain you feel generally and improve the condition of your back by relaxing and strengthening your back muscle, and even help you to improve posture. All body tensions, pains and illnesses originate in the mind at some point, and your mind is in control of all aspects your your body and all its functions. 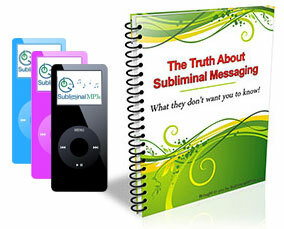 By tapping into your mind through subliminal messages you can take control and focus on specific areas of healing and development - in this instance reducing your back pain and improving the condition of your back. Download this album and gain some freedom back today and live your life free from back pain!